After claiming the maiden victory for the BMW M8 GTE in the IMSA WeatherTech SportsCar Championship at the Virginia International Raceway, Alexander Sims and Connor De Phillippi claimed their second victory in a row this weekend at Laguna Seca. 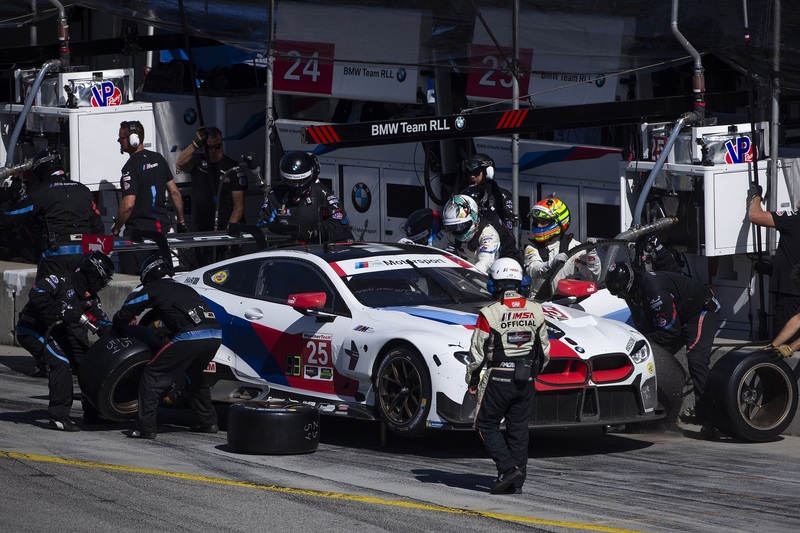 The number 25 BMW M8 GTE crossed the finish line first while the number 24 car driven by John Edwards and Jesse Krohn came in fourth. “For Alexander Sims and Connor De Phillippi, what a great win. It was tight on fuel and to be frank, I wasn’t so sure we were going to pull it off and then we had to stop with John Edwards which was unfortunate because he was doing great. For our team, this is three wins in four years at Laguna Seca and the checkered flag will be flying over our headquarters in Columbus. I am just really happy for BMW and for the whole team. Everyone works hard on this program, both in Munich and in Columbus. We even had some Indy Car people helping out this weekend. 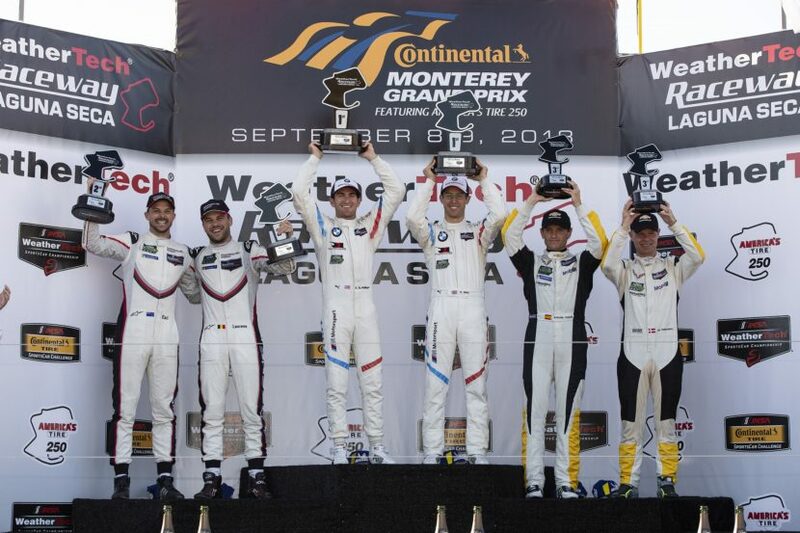 Great team effort!” said Bobby Rahal, the BMW Team RLL manager. This was BMW Team RLL’s 19th victory since 2009. Principal Bobby Rahal (USA) and his team has now won three of its past four races at Laguna Seca. The team split its race strategy for the two cars. De Phillippi had to save fuel during his stint to ensure that he made it to the finish. This plan paid off, as the American ultimately crossed the finish line 2.488 seconds clear of the second-placed Porsche. “Wow, what a day! Eventful in the beginning with lots of yellows. We knew we were in a good position in the end. We had to be fuel efficient and the engine did exactly that. I did the job I needed to behind the wheel and the team made all the right calls. Super happy for the team. It was definitely a team effort! We can be proud of our two results, one of them was on pure pace and today’s was a really intelligent race. Now we go on to Petit and look forward to having Bill Auberlen back as part of the team again and try to close the season out on a positive note,” said Connor De Phillippi after the race. The team will be heading to Road Atlanta for the 10-hour race of the Petit Le Mans, where Bill Auberlen will also join the team.